Where should I go for a mid week short break in the city? Choices of cities to explore on a mid-week break include London, Manchester, Edinburgh and Dublin. There is no shortage of fantastic cities to visit in the UK and Ireland. Britain is home to many beautiful and fascinating historic and modern cities. British and Irish cities are well known for their amazing restaurants, pubs and theatres. London alone offers some of the worlds best restaurants and a theatre district known as Theatreland (formerly the West End) that is always showing a vast number of the world's best loved shows such as Les Miserables and the Lion KIng. 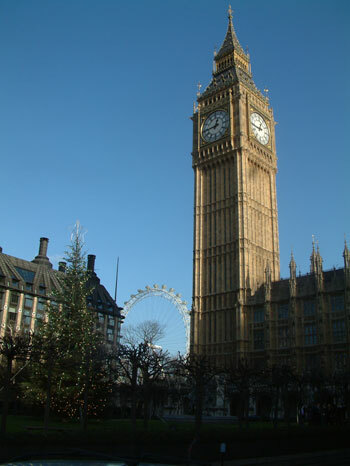 However, it is not only London that boasts an entertaining city-scene. Edinburgh and Dublin have some of the world's oldest pubs which date as far back as the 12th century. There is no better feeling than sitting back and relaxing in a warm, cosey pub after a day of exploring the wonders of a city. Shopping is something that we Brits love and have made our own. Why not spend a day hunting through one of Britain and Ireland's vast number of humongous shopping centres such as Westfield in East London or the Trafford Center in Manchester. If you are looking for more original and homemade items, then maybe a market is more up your street. There is always a bargain to be had at a market. London's Old Spitalfields Market is famous for its vintage fasion and top quality food and outside of London, Cardiff Central Market is the perfect place to go in search of specialist records and unique books.